Thickness of sheet: 0.65 mm This filter is no longer available. - Span of up to 30m. 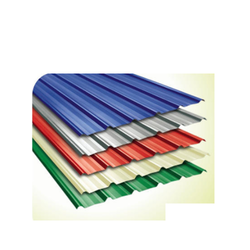 We are one of the topmost manufacturers and suppliers of a wide range of color metal roofing sheets and have established a huge customer base owing to their superior quality features. These color-coated metal roofing sheets are available in varying thickness ranging from 0. 5 mm to 0.80 mm. 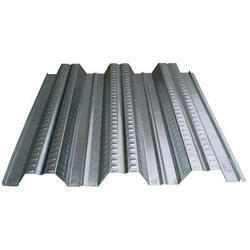 Our company is highly esteemed in offering Metal Roofing Sheet (Roofing Sheet) to our customers.